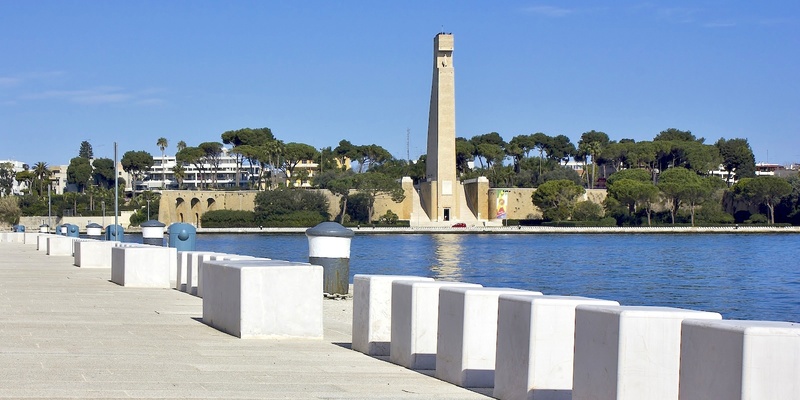 The city of Brindisi, located on the Adriatic coast, lies between two deep bays linked to the open sea by a narrow and deep channel, overlooked by the Castello Rosso (Red Castle), named for the particular color of the stone used to build it. The Swabian Castle, rather, overlooks the western channel of the port and today is a venue for major cultural events. Among the sights not to be missed, the Church of San Giovanni al Sepolcro, with a beautiful and finely-decorated marble portal, and the Colonna Romana (Roman Column), once flanked by a "twin" that today is part of the structure of the famous Colonna di Sant’Oronzo (Column of St. Orontius) in Lecce. 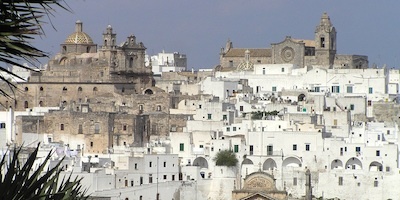 The beautiful city of Ostuni stands out against the intense green of the olive trees, with the whitewashed old town crossed by a maze of alleys and courtyards, low houses and narrow passagways that are overlooked by the majestic Cathedral. Beautiful sandy beaches are scattered along the coast, lapped by the clear water of the Adriatic Sea; colorful patches of the Mediterranean brush and the plantlife of the seabeds contrast with sometimes sandy, sometimes rocky shores. 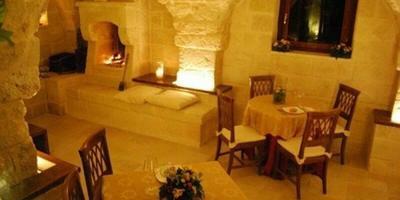 To the north of Ostuni lies one of the most interesting natural areas in the region: the WWF Oasis of Torre Guaceto. The seawater rushes in toward the cliffs with its scrub, dunes and expanses of reed beds. This territory serves as an ideal habitat for snipes, wild ducks, nightingales and amphibian species, as well as for marine plant species, including meadows of Neptune Grass, sea fans and coral. The Egnazia Archaeological Park holds important finds dating back to the Roman age, and even remains from earlier settlements. Continuing the journey inland, Cisternino is the “capital” of the Itria Valley, where white houses, narrow alleyways, courtyards and staircases, arches and balconies adorned with colorful flowers together create this small architectural jewel. Historic Medieval and Renaissance buildings make walking through the streets of the old town an even more interesting experience. Here, the Middle Ages find their highest expression in the ancient fortified towns of the Murge Plateau. 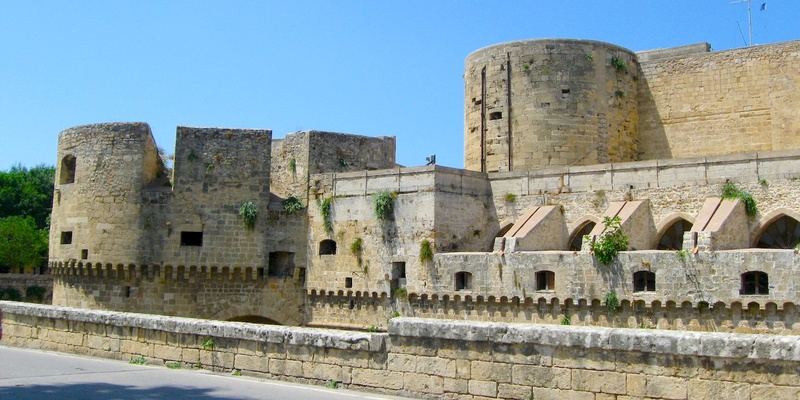 The Castle of Oria, built in the 13th Century by Frederick II of Swabia, was designed in the shape of a triangle, while the Torre dello Sperone (Tower of the Spur) marks its summit, similar to the prow of a ship. The Cathedral and its beautiful polychrome dome and two towers, the bell and the clock towers, stand out gracefully from the rooftops of the town. Nearby, the Sanctuary of San Cosimo shows off its large loggia and Redeemer statue. Take a tour of the small towns in the area, such as Mesagne, San Vito dei Normanni, Francavilla Fontana and Ceglie Messapica, that feature treasures of art and history, and testimonies from a way of life long forgotten.